This wire dog muzzle fits middle size dog breeds like Spaniel, Schnauzer, Foxterrier, Pinscher, Weimaraner, Malinois and similar dog breeds. 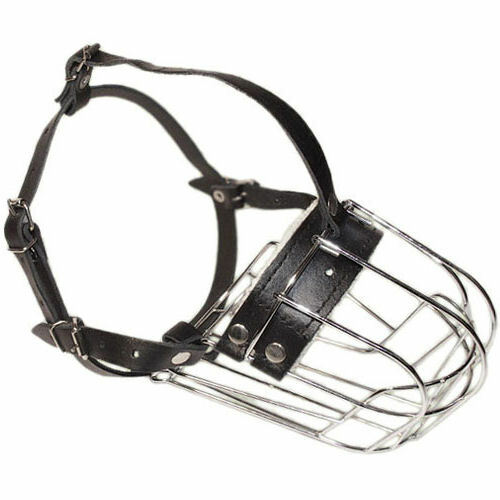 This well-fitting, comfortable wire dog muzzle is made strong and light, breathable and polished wire basket to keep the shape of the muzzle and to assure long life for the muzzle. 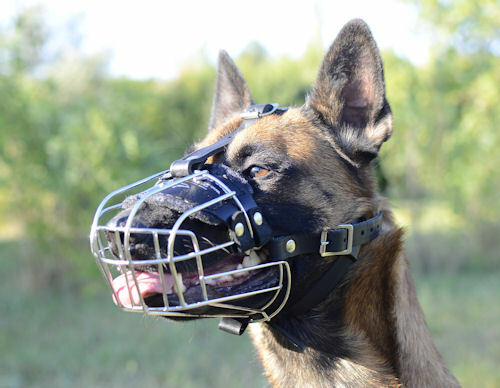 Due to great shape the muzzle provides the dog with best ventilation available among muzzles. The basket dog muzzle is padded with felt for dog's comfort. it is reliably fastened on dog's head to prevent taking it off with dog's paws or falling in active running and training. 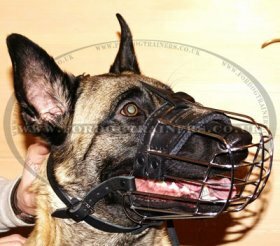 This dog muzzle is very comfortable for your dog and is also very practical for training, traveling, patrolling, guarding and visiting the vet. The muzzle has come. The lining is incredible. Nothing rubs or pinches my dog. Thank you for prompt shipping and fantastic quality of the muzzle.